Traditionally, apologetics has been concerned with developing rational arguments that offer convincing proof to the seeker or the skeptic that faith in Jesus is plausible. This kind of intellectual engagement plays a crucial role in the overall mission of the Church. However, well-articulated arguments are not the only way to convince someone that Jesus is true. John the Baptist was a significant religious figure at the same time as Jesus. He had spent his life telling others that a prophet was going to come, one who would bring in the kingdom of God in new and dynamic ways. As we read in Luke 7:18-23, John thinks that this prophet could well be Jesus, so he sends two of his followers to enquire, to see if Jesus can convince them that he is the one. When asked if he is the one who is coming to bring God’s kingdom, Jesus answers by healing the sick, casting out evil spirits, and preaching Good News to the poor. Based on these actions, Jesus invites John’s disciples to judge whether God’s kingdom is breaking in. Jesus doesn’t offer any intellectual rationale or a carefully crafted defence of his ministry. He just shows justice and compassion to those who are sick, poor, and marginalized. These are the proofs that he offers as confirmation of his credibility. If the church is going to make Jesus credible in our world, we have to do what Jesus did: demonstrate the Good News by proclaiming and embodying it in works of justice and compassion for those around us who need healing, deliverance, and hope. These remain the most convincing “proofs” that Jesus’ kingdom is indeed at hand. 1. What do you think are the most convincing proofs of God’s kingdom? What do you think your neighbour would think are the most convincing proofs? 2. 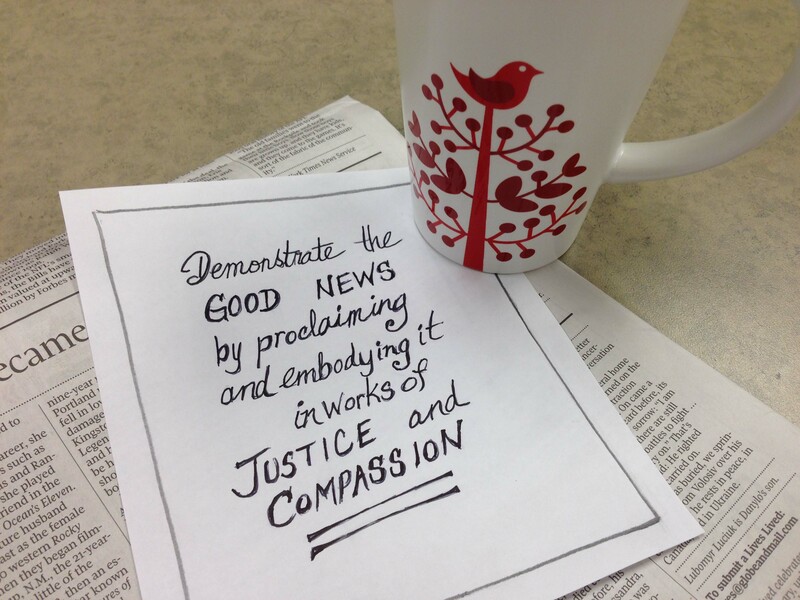 How can the Good News be embodied in works of justice and compassion without becoming just a social gospel? Lee Beach is assistant professor of Christian Ministry and director of Ministry Formation at McMaster Divinity College in Hamilton, ON. Lee has served in pastoral ministry with The Christian and Missionary Alliance for 22 years and is currently part of a new church plant with his wife, Joanne, in Ancaster, Ontario. Amen! Lee has put into words what I have been feeling for years! There is an important and necessary movement in the church today for all of us to become disciple makers. But how should a disciple live? Following the Way of Jesus. Doing all of the things that he did and taught. Discipleship should lead us toward a life of Justice and Compassion and a life of Justice and Compassion will make us disciples! !